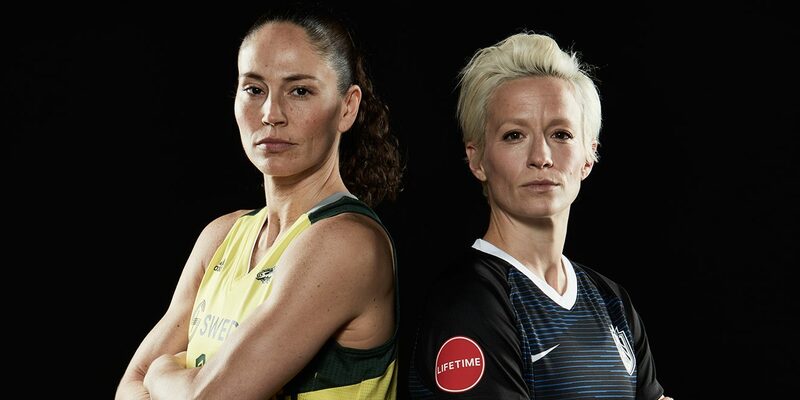 WNBA star Sue Bird and soccer legend Megan Rapinoe were the first openly gay couple to appear in ESPN The Magazine’s Body Issue. Reading the list of accomplishments of Sue Bird and Megan Rapinoe, on the basketball court and soccer field, is almost dizzying. Bird, the legendary guard for the Seattle Storm, has four Olympic gold medals, four world championships, three WNBA titles (along with a record 11 WNBA All-Star Game appearances) and two NCAA championships. 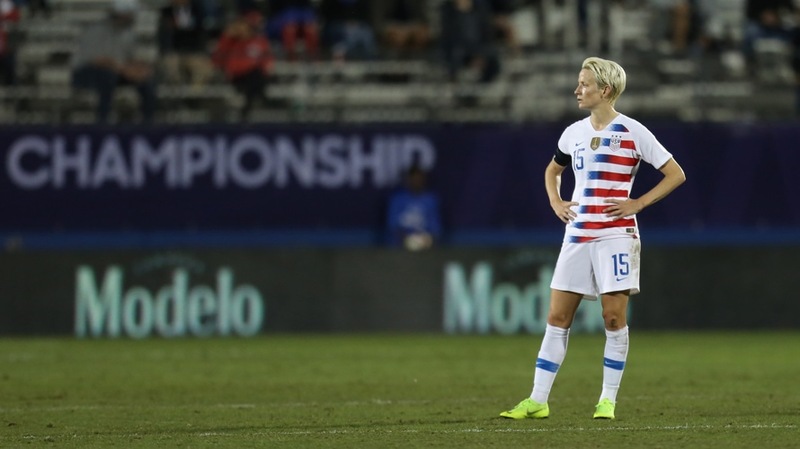 Rapinoe, a forward for the Seattle Reign FC, is in similarly rare air with a FIFA World Cup title, an Olympic gold medal and a national championship from the University of Portland in 2005. So while it’s easy to tab Bird and Rapinoe as a Seattle “power couple,” the two very down-to-earth elite athletes have a chuckle at the label. “We just happen to be athletes who are dating,” adds Bird. Megan Rapinoe (left) and Sue Bird attend UConn basketball game. The duo plays well off each other. Talking to Adweek, Bird says that Rapinoe has a “lightness about her,” especially her sense of humor, even in the most serious of moments. Rapinoe notes that Bird is thoughtful and has the ability to see things clearly and not get too worked up, no matter the situation. “We’re on opposite sides of the spectrum, but I think we pull each other a little bit towards the middle, which I think is healthy to have and a good balance,” says Bird. While they might find their standing as an “it” couple funny, both are keenly aware that their status in broader society and on issues are important. Nowhere was this more evident than their appearance in ESPN’s annual Body Issue last June. Bird and Rapinoe were the first openly gay couple to appear on the cover and in the magazine—and as Rapinoe sees it, the most important aspect of the shoot was visibility. Indeed, Rapinoe has been at the forefront of taking bold stances and is never afraid to raise her voice. She began kneeling for the national anthem to speak out against racism and support Colin Kaepernick in 2016. In 2015, Rapinoe was part of a group of soccer players who filed a federal complaint to fight for equal pay, which they eventually won, getting a 30 percent bump in pay and better bonuses. She has long been involved in LGBTQ activism. And Rapinoe’s largesse goes well beyond American borders, donating part of her salary to Common Goal, a soccer-centered charity founded by Manchester United player Juan Mata. Megan Rapinoe captains the US Women's National Soccer team against Jamaica. And somehow, between playing soccer and her charitable work, she manages to run a fashion business and soccer clinics with her twin sister, Rachel.